Gift shop software helps gift shops embrace Valentine’s Day | A blog about smart POS software for independent small businesses. The commercial reach of Valentine’s Day can be broader for retailers using gift shop software to target products and shoppers. Thanks to smart reporting and immediate basket analysis tools, the Tower Systems gift shop software is already helping retailers to leverage more benefits from Valentine’s Day 2013. From facilitating promotions on receipts to guiding smarter product adjacencies, the Tower gift shop software in enabling retailers to turn a good valentine’s Day season into a more valuable season. 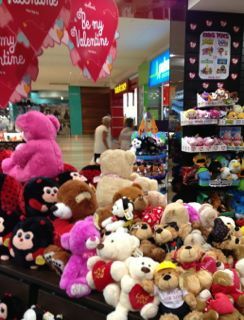 While some shoppers see Valentine’s Day as an American commercial season, smart retailers make it about fun, enjoyment and loving each other … broadening the reach of the season to make it more valuable at the sales counter. Connecting with emotions helps drive deeper shopper engagement and our software can show the products that are working best through the season to deliver good results for the business. Valentine’s Day is providing an excellent opportunity for retailers to check consumer sentiment for 2013. Early indications are good. With several newspaper price increases happening in coming weeks, we have provided fresh advice for newsagents using our newsagency software on how to complete the price change easily and with customer satisfaction the core goal. Last week we hosted the first of several meetings for 2013 with newsagents on the News Limited T2020 project. We briefed them on the latest software enhancements being developed and coming from our advance engagement with the t2020 project. With T2020 live right now, it’s important that newsagent suppliers, including software companies, are proactively helping with software enhancements and and access to knowledge and insights with which newsagents can make better business decisions. Tower Systems is doing this through newsagent briefings, software enhancements and access to free training. 2013 will be a year of extraordinary change for newsagents. Coupled with change is a deep reservoir of opportunity. We see it as our job to help newsagents fish this reservoir and to land these opportunities into sales and business growth for a brighter future. 2013 is off to a good start thanks to our planning last year and our early engagement with newsagents already this year. Over the summer we have enhanced our in-house studio and production facilities in pursuit of delivering even better training in the use of our Point of Sale software. The new facilities include better lighting, camera, microphone and post production facilities. Quality video training is vital to POS software companies like us today given the employee turnover in retail stores and the need to facilitate easy access to training in the use of our software. 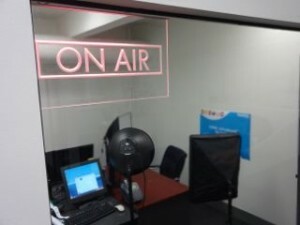 Having good in house production facilities make the production of quality content easier. The fruits of our most recent investment will be seen shortly when we release more video content. Comparing training videos is a good way to compare software companies. We will happily share some of our training videos to sales prospects for evaluation purposes. What’s next for retail and, small business retail in particular? Retail trends are in the news a lot these days thanks to a penchant among news outlets for reporting store closures and documenting what they consider to be a battle between online and high street retail businesses. While much is written and broadcast, there is little deep assessment in the context of the small and independent retailer. We are interested in retail trends here at Tower Systems because we care about the more than 2,500 retail businesses we serve with our Point of Sale software. Since most of our clients are small independent retailers, we look at trends and go out into the world in search of information in trends through the prism of the small business retailer. Four members of our leadership team have just returned to Australia having attended the US National Retail Federation 2013 NRF Big Ideas conference at the Jacob Javits Centre in New York with 27,000 other retail and IT professionals. We were among a very small group of Australians to attend this important event. We participated in conference keynote sessions and smaller group sessions and visited many suppliers on the large (6 football feilds in size) trade show floor. Of particular interest to us was day-long Main Street USA workshops covering small and independent retail businesses – trends and innovations. the insights gained from this particular day will help us have even more meaningful discussions with our customers and sales prospects. So, what’s next for retail? We welcome opportunities to talk with and share with retailers our insights and understandings so that we can all benefit from what we have learned from this latest study trip overseas. We have reached out today to our customers in the severe weather affected areas of Queensland. While many were uncontactable, those we did speak with were offered help as soon as conditions permit and if they need it to get the business operating again. For many retailers, other businesses and individuals the worst is yet to come. As we do in times of significant natural disaster, we give priority to affected businesses. Our office is closed today for the Australia Day holiday but our after hours and emergency numbers are all available. While we’ll be at BBQs, the beach or relaxing in some other way, we are at the end of a network of mobile phones ready to take calls and help our customers. FYI we’re also closed for the public holiday monday – but all after hours and emergency numbers will be live. Our next major update to our garden centre software will move into beta release mid next week. This latest update is designed for users of the POSIMS software, to help them switch to more modern software yet have access to some unique facilities they love in their old DOS program. In addition of POSIMS related features, the new garden centre software delivers access to a host of other enhancements, many suggested through our transparent and popular user software change suggestion and voting process – Software Ideas. Right through summer our development, testing and installation teams have been busy creating even better software and preparing to bring the benefits of this to our customers and businesses joining our customer community. At the CES show in Las Vegas two weeks ago we took the opportunity to check out the latest innovation from the United States Postal Service around parcel delivery and, in particular, last mile services. Last mile delivery / pickup is an area of considerable engagement for us thanks to our early-adopter work with Parcel Point. With the largest footprint of newsagent retailers in Australia we are well positioned to help newsagents innovate in this valuable and growing space. learning about the latest innovations from the US has helped us refine our plans for 2013 in this area and learn more about opportunities we can share exclusively with our 1,800+ newsagent customers. One of the areas members of our leadership team investigated when in Las Vegas for the Consumer Electronics Show two weeks ago was retail security. For many years we have offered security camera system integration through our POS software. We have also provided expert witnesses in police investigations and for court cases pursuing employee theft. 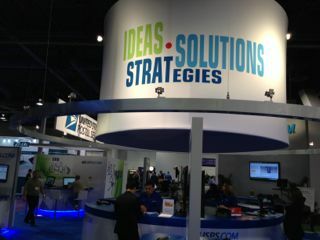 At CES we got to see and interact with a range of new technology, some POS software integrated and others free standing. The CES event has enabled us to be more aware of the latest developments in the retail security and theft prevention in the US, the country most advanced in this field. The most valuable measure retailers can take against employee theft remains the facilities in their software. Tower Systems is renowned for providing access to comprehensive and professional theft management / reduction facilities in its Point of Sale software. From deep level password protection of key business data to secret tracking of user activity, our software enables retailers to better protect their businesses and thereby reduce the cost of employee theft. More than 150 places have been booked in the last week for the new range of live online training in the Tower Systems Point of Sale software. The new topics released for 2013 are proving to be a hit with retailers and retail employees as they want to get more from their POS software technology investment. In developing the new content early in 2013, Tower Systems is providing its retail partners an excellent opportunity to kick off the year with better knowledge and therefore better business opportunities. 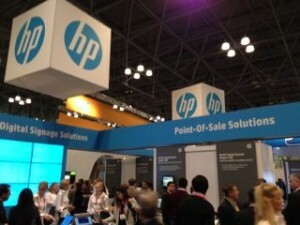 At the NRF 2013 Big Ideas Show in New York last week, four of our team members received VIP treatment from the HP retail solutions team and were provided an invaluable insight into plans by the company and details of its engagement with retailers small and large. As our key hardware partner providing computers and POS terminals, staying up to date with HP plans and learning more about their products is important to our plans for growth in 2013. We’re grateful HP helped us out with access. 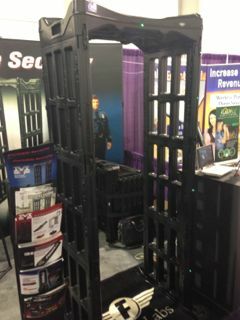 We also enjoyed the opportunity of seeing solutions embraced by retailers larger than those we serve. These insights were truly valuable. Having access not only to HP but a host of vendors in the retail management and services space was wonderful and we made the most of the opportunity. With more than 750 of our Point of Sale software customers now using the Tyro broadband EFTPOS solution, we have plenty of feedback from retailers on which to draw. Retailers love Tyro. They love its speed, security, time saving and ease of use. This past busy Christmas period saw many of our customers enjoy an excellent sales bump. Tyro helped our customers better handle the increase in shopper traffic thanks to its rapid approval time and the elimination of keystrokes thanks to its integration with our POS software. We love Tyro, we use it to process EFTPOS payments in our software company as well as in our own retail stores. So, our recommendation is based on considerable personal experience with Tyro across a range of business situations. It’s our operation of a range of retail businesses that sets us apart as a software company and that enables us to provide more practical advice to our retail partners. Members of the Tower Systems leadership team were fortunate to have time with several key Microsoft retail specialists in New York last week at the National Retail Federation Big Show. 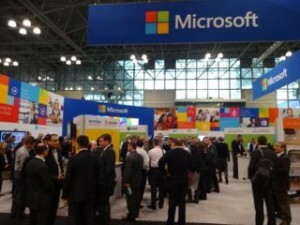 The Microsoft presence was considerable, the most important of 2013 for the company and its partners at the trade show in the context of its retail involvement. We appreciated seeing new hardware and hearing about software enhancements. With software and software development changing rapidly attendance at events such as this are vital to keep up and to reach ahead, embracing fresh opportunities. Many software companies had representatives at the trade show and conference to pick the brains of Microsoft experts. It was well worthwhile. As the only software company from Australia in our respective specialist retail channels in attendance, we embraced the opportunity to gain insights that will enhance our competitive edge. Thanks to today’s connected world it is easier than ever for customers and prospective customers, individuals and businesses, to check if a company is lying. A quick search can check a claimed fact for accuracy. An email, text, online message, Skype or some other digital comms with a competitor can allow a sales prospect to see if a sales pitch statement is true. Today’s connected and searchable world is a sales prospect’s best friend. There is no excuse for being fooled by a sales pitch that a company provides the best customer service or a claim that a company was first to deliver a particular technology. Thanks to the ease of such research companies making any claim need to ensure that the claims are truthful. We encourage sales prospects considering purchasing our Point of Sale software to check us out online and among their peers. For years we have run our business knowing that in this era, more than at any time in the past, our actions speak louder than words and our actions can be searched. Thanks to Google we are able to help prospective customers compare us, to see where others may be making claims that are not supported in fact. While Gerry Harvey and some others regularly talk down retail as if they want Australians to believe that retail businesses are struggling because of economic factors, the real reason for most retail failures is that the businesses have not served their customers. Memorable customer service is the most important point of difference a retail business can have, especially a business which does not make what it sells and therefore could have its products being sold by any other business apple to reach the same pool of shoppers. We call it memorable customer service because it truly has to be that … memorable. So memorable that it is praised by your customers to others. Good customer service should be the norm, the lowest hurdle any retail business can jump. Memorable customer service, the level of customer service that makes a shopper talk about the experience to their friends, must be the goal and it is the word of mouth from these customers that is a factor in driving traffic growth. Memorable customer service is just as vital to Point of Sale software companies as it is for retail businesses. 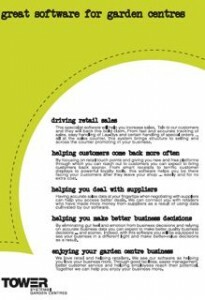 Since we own retail businesses as well as our POS software company we see it, live it and reach for it from both sides. This is why we continue to work hard to encode the ability to focus on customer service in our Point of Sale software. That’s right, retailers using our software have touch points they can leverage using software which help deliver the kind of memorable customer service we are talking about here. Memorable customer service in retail, just as in a software company like ours, is experiences which exceed expectations, it delivers benefits outside of what you expect even from a good business. In our IT company we compete with big IT companies and small, like us, IT companies. While we want our software to be the point of difference customers notice and talk about positively, it is our customer service which is loved and mentioned to colleagues more. Realising this was an epiphany for us. We focus on building stronger, better and more valuable software. But we also surround this, completely, with customer service experiences which are the very best of the best. This gives us, and our customers, the best of both worlds. And we love it ourselves. Given that most retailers do not have products unique to their businesses, delivering memorable customer service is critical to the business plan. Small and independent retailers can do this more easily and effectively than big retailers. From the genuine smile to shoppers to product knowledge to that extra information which helps a shopper get more out of the product purchased than they would have had the purchased the product elsewhere. This added value is the key and it can be delivered in almost any situation and with any product from a stapler through to a high-end road bike. So, beyond our software and as part of our customer service focus, we seek out opportunities to help our customers deliver memorable customer service. Indeed, this was one topic we covered in the recent face-to-face user meetings we ran in capital cities and major regional centres around Australia. Gerry Harvey is wrong to complain about factors outside his business causing poor results. He needs to shop his shops and see that the customer service at Harvey Norman is not so memorable. It is not something people talk in in word of mouth. That’s retail death right there. If people come to your shop just because you are cheap it can be taken from you in an instant. If they come to you because a friend praised the customer service their received you are on the road to winning a regular customer. As a Point of Sale software company, our mission is to deliver constantly improving retail management software backed with memorable customer service and going beyond this with business insights and assistance which helps our retailers themselves deliver exceptional and memorable experiences to their customers. Tower Systems has today been able to help all newsagents, regardless of the newsagency software they use, to resolve an issue with Gordon and Gotch invoices for tomorrow. There was a problem which saw some not receive all invoice files. Through our intercession with the company we have just received confirmation that Gotch has now resent files to the affected newsagents regardless of they software they run. The new series of online user training workshops we announced just over a week ago are almost fully booked. Retailers using our POS software are thrilled with the new topics being covered and are responding with early bookings. Indeed, bookings have been so strong that we are planning scheduling more sessions. In developing the new training we have focussed on helping participants achieve practical and valuable outcomes through best-practice use of our software. the numbers tells us we’re on a good thing. Participation is free, it’s part of the exclusive Tower AdvantageTM program designed to help Tower Systems customers reach tangible business rewards from informed use of our smart Point of Sale software. When we say participation is free, we even pay for the phone call to access audio – giving greater clarity than through computer speakers and a mic. Developing and hosting training like this is not easy. For Tower Systems, it is a valued point of difference. In early 2011 we released our Greeting Card Performance Report – Category and Segment Performance Report. This report has become the industry standard report for newsagents and other card retailers, delivering best practice reporting facilities to these retailers and helping them to better manage the greeting card department. The report was the first of its kind for newsagents and other independent retailers in Australia and New Zealand. It delivered genuine innovation. 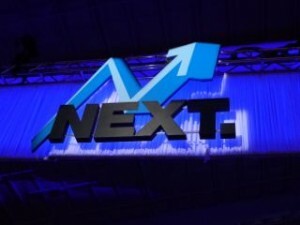 It’s the type of innovation that earns the moniker of smart software for us in the channels. Developed over several years in close and confidential association with Australia’s best known (and loved) card company, Hallmark, our new greeting card performance reporting is now well established. A feature of this reporting is the MAT or Moving Annual Total metric. This is used in several suppliers and big businesses – we have found it tremendously useful in tracing year on year to date business performance. We offered to share our IP with other software companies so they could catch up. Retailers using the new reporting are loving the immediate and easy access to category level sales reporting. For example, being able to report on Father’s Day sales the day after the big day is terrific. Being able to break down overall Father’s Day card sales into categories within the season is even more valuable. that retailers can do this faster than any card company is where our software really shines. This new greeting card performance reporting suite has been delivered to our users at no additional cost, adding tremendous value to what our Point of Sale software customers can extract from theirs software. We are enjoying growth in the sale of our Point of Sale software outside Australia. This is broadening our experience with different businesses as well as different business regulatory regimes … broadening our experiences and thereby adding to our skill set. Retail across the world is different and we are grateful for the opportunity to learn from customers in different marketplaces and different countries. These experiences inform not only our software development but our broader service offering. Our latest overseas installation is in a large retail business with two outlets and covering several retail needs. The installation has included a significantly customised version of our software. High street bike shop retailers are facing tough competition from online bike retailers according to news reports and industry talk. It’s a challenge when a business from overseas targets a local market with what can be an inferior products and without local service yet with a price point that is devastatingly competitive. The doom stories aside, there are retailers, including bike retailers, who are growing stronger, more valuable businesses. How are these retailers growing? Growth in retail requires planning and commitment throughout the business. It is vital that attention is paid to consumer touch points, placing the unique points of difference of the business in the spotlight. Good businesses grow faster when growth strategies are encoded in business processes from the sales counter to the back room and are at the heart of supplier and employee relationships. By leveraging in-store knowledge, experience and personal service, a high street bike shop can convert a browser into a shopper. The keys are attention to detail, memorable personal service and a value proposition. This is where good bike shop software implemented professionally can help. It can also help drive operational efficiency and thereby give the business the financial means to be competitive. There are bike shops doing this today, large and small, city and country. But how can bike shop software do this? Sales processes can be structured to drive consistency. A loyalty program encourages your shopper to shop more frequently. A contact follow up program can bring a customer back more often. Marketing can be driven by email, mail and fax. Mistakes at the sales counter, in ordering and in management can be reduced, freeing cash. Selling can be made easier, thereby improving the shopper experience. New marketing platforms are created: on receipts, at the counter and elsewhere. Employees can be rewarded for above average sales – aligning their rewards with those of the business. A common inventory file for an online store and a high street store. Good bike shop software can help a bike retailer compete with online businesses and prosper in any economy. Growth begins with deciding that this is what you want for your business. The next step is pursuing it relentlessly. People looking for their first bike are encouraged by bike shops to talk to an expert. Bike shop owners wanting greater success should, likewise, talk to an expert. Tower Systems develops and supports the industry standard bike shop software in Australia and New Zealand, the company helps bike shop retailers grow stronger and more valuable businesses. The Tower Systems software for garden centres keeps betting better thanks to suggestions from customers and new opportunities from garden centre suppliers. The latest software, released just before Christmas, is delivering some excellent benefits to help garden centre retailers through a busy summer trading period. From handling special orders to supporting a range of loyalty options, our garden centre software is well established. The latest enhancements have been delivered as part of our commitment to continuous improvement of the garden centre software. With more than 60 garden centre customers, Tower is well established in the marketplace. As a supporter of the industry association we are showing our commitment to professional development. We are thrilled with feedback from customers, especially news of how our Point of Sale software is being used in nurseries and garden centres to drive sales this Spring. Every story makes us proud. The serial number tracking services available through our smart Point of Sale software are proving to be invaluable in a range of retail situations according to customer feedback. Using serial number tools, retailers are able to track individual items sold to meet regulatory record-keeping requirements as well as track items for the benefit of the customer and the business in terms of warraty and other future activity around a specific item purchased. Developed with jeweller and bike shop retailers originally, the serial number tracking tools in our POS software have been enhanced to meet evolving needs of retailers. We have ensured that the facilities meet needs of more retail channels, giving them peace of mind that they can track sales at the item level for reporting to authorities, suppliers, warranty providers and customers. Serial number tracking requires accuracy and focus in serving the needs of the retailer, customer and other parties. Achieving this without negatively impacting the traffic flow at the counter is a challenge we address in our software. retailers using our software can also find previous sales by searching using a serial number. In addition to specifically serving the needs of tracking serial numbers of items sold, the software tools also work well in areas with similar needs. The software gives even more flexibility to the overall Point of Sale software package. Choosing the right Point of Sale software is vital for any retail business. get it wrong and you can have wasted plenty of money and time. get it right and you can have a business bottom line that is healthier. Customer service. What is included in the annual software support fee? Software access. Does the software keep working if you opt to not take out annual support coverage? Reports. How do the reports look, are they useful and do they cover what you need. Speed. Hoe easy is the main screen in the software, the POS screen, to use? Is it fast and intuitive? Training. What training options are available and what’s the cost? New staff. how easy is it for you to access training for new employees? Contact. How easy is it for you to contact senior management in the POS software company? Customer satisfaction. Is the POS software company happy for you to contact any of their customers? Price compare. 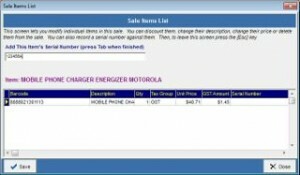 Check to see what others have paid for the software. Some companies charge different prices. Supplier connections. make sure that the software has current connections for all suppliers of interest to you. This list is just the start of what you should check when considering a Point of Sale software package. Do your research before you buy and reduce the stress after you buy. Like Apple, we give our customers control over the timing of updating their software. This is what small business retailers prefer. They do not want to find their software changed without control. In one situation recently, a retailer using another POS software package found their software updated without their control and a bug introduced that caused considerable negative impact on the business and customer relations. Retailers who do not control when their software is updated can experience significant disruption to their business that can take considerable time to discover and resolve. It’s considered best practice for retailers to control when they update their software. We give our customers this choice.